Are Oakland A's Opening Nights Numbered? Two,Three or Another 40? Dickey now thinks Fremont is not the answer! Duh!!!!! 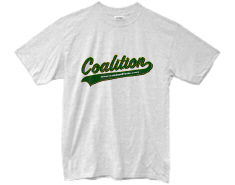 Since 1998, the goal of the Oakland Athletics Fan Coalition has been to preserve and honor the legacy of Oakland A.s baseball and to prevent the Athletics from relocating to another city outside of Oakland. On November 14, 2006, A's owner Lew Wolff publicly presented his plans for a new ballpark on barren land just west of Interstate 880 in Fremont, a step that the OAFC has long suspected was in the works. This move was foreshadowed years ago by former owner Steve Schott.s statement that the A.s had no future in Oakland and by his constant failure to even tacitly commit to the City of Oakland. A new ballpark in Oakland could have been achieved if ownership had shown some honest interest in doing so. It has been well documented that, despite numerous opportunities, the A.s have never seriously pursued a realistic plan for an urban park. Wolff attempted to deceive the fans and the City of Oakland last year by presenting an impossible plan to develop an Oakland A's baseball-only ballpark in a heavily industrial area north of the Coliseum. Needless to say, that .plan. was doomed to failure from the start. Oakland is a vibrant, diverse, and cosmopolitan city that enjoys far more financial strength than given credit for. It is also a great sports city with a rich history of athletic excellence AND ample fan support. Oakland deserves to retain the Athletics and to preserve the city's storied baseball past. The OAFC will continue to provide a voice for fans of the OAKLAND Athletics who have been disenfranchised and disrespected by team ownership. The OAFC will monitor the progress of a Fremont ballpark and keep its members advised on the results of its watchdog efforts. Visitors to the OAFC website will find a place to vent their frustrations with the A.s pending move, as well as join in spirited baseball discussions.